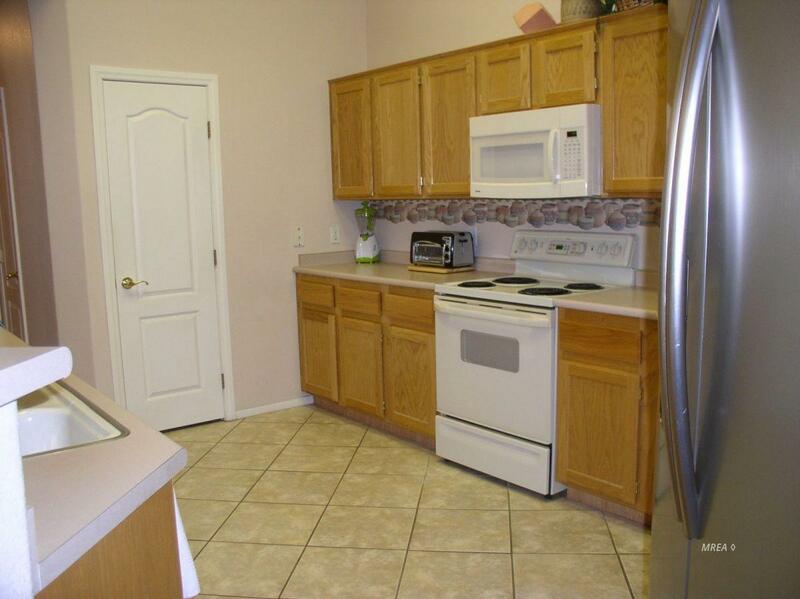 Beautiful immaculate townhome on desirable cul-de-sac with an extra large backyard. Quality designer fully furnished is turn-key with everything you see is included. Master bedroom features king bed with Comfortaire mattress dual controls. Marble top dresser, night stand and chest are Verona. Living room features Jonathan Louis International leather reclining sofa and reclining love seat. 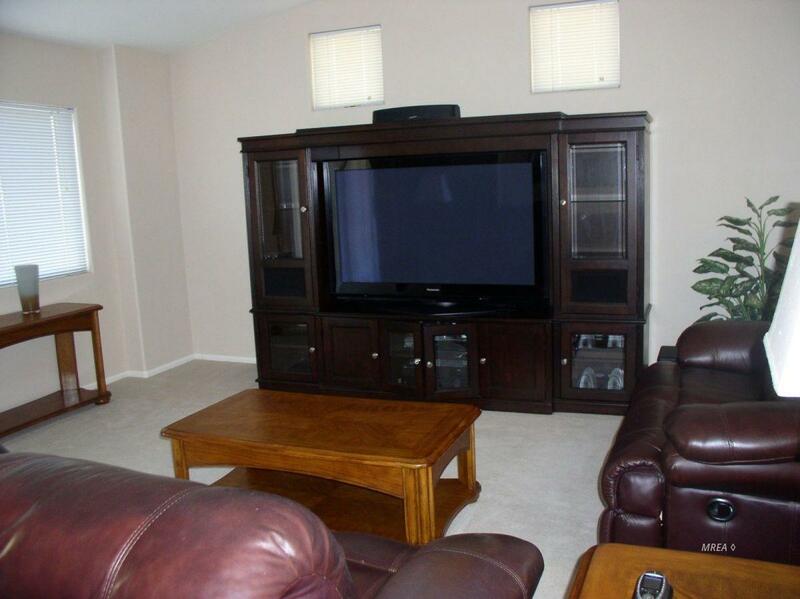 Entertainment center is Oakley Park by Lane with 58" Panasonic high definition plasma TV, Blu-ray player and Bose speakers with surround sound. Kitchen is designed for several cooks to move around. Breakfast bar with two stools. Laundry room features Whirlpool duet washer and dryer on pedestals and wall cabinets and drawers. Covered patio features tile topped table with 6 iron chairs so comfortable. This backyard is larger than most in Sunset Greens! What a surprise when you see everything the garage offers: Gladiator steel by Whirlpool and multiple cabinets, drawers, racks and tools with a workbench! 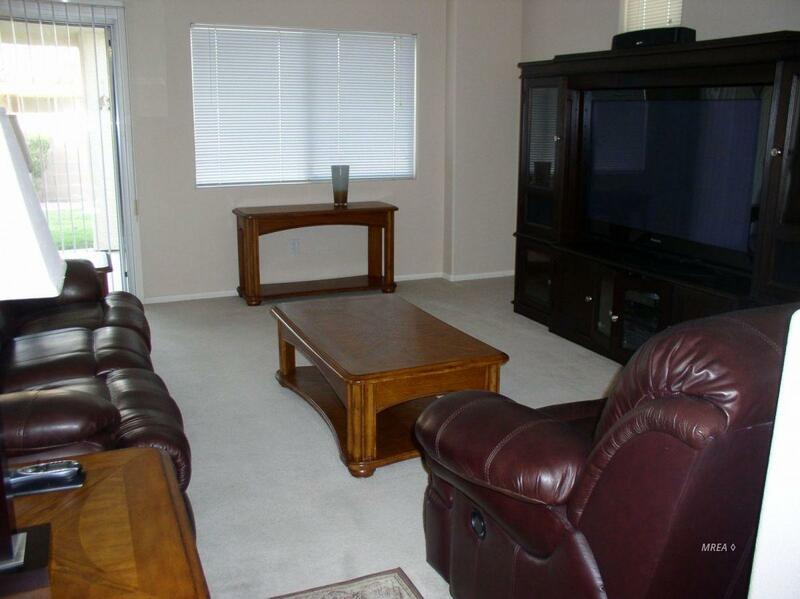 You will love making memories in this beautiful Townhome!! 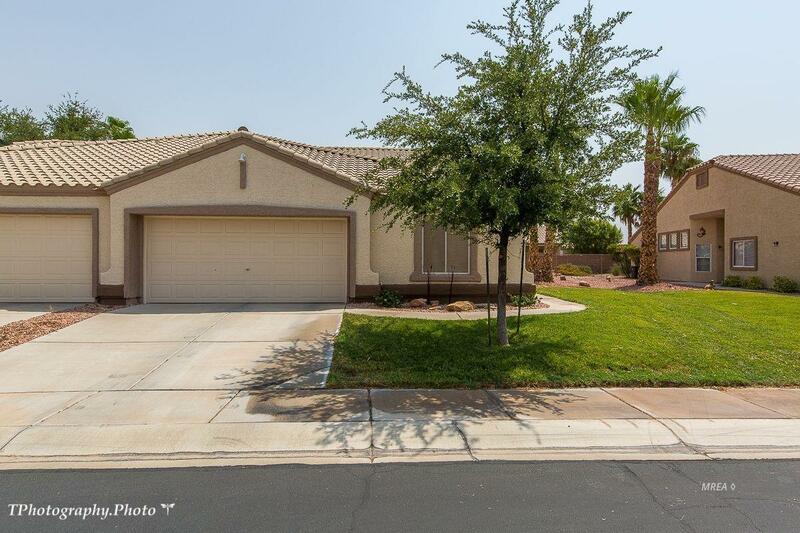 Exterior Features Cul-De-Sac Fenced- Partial Gated Community Landscape- Full Sprinklers- Automatic Patio- Covered Swimming Pool- Assoc. Listing provided courtesy of Sharon Szarzi of Era Brokers Consolidated, Inc..